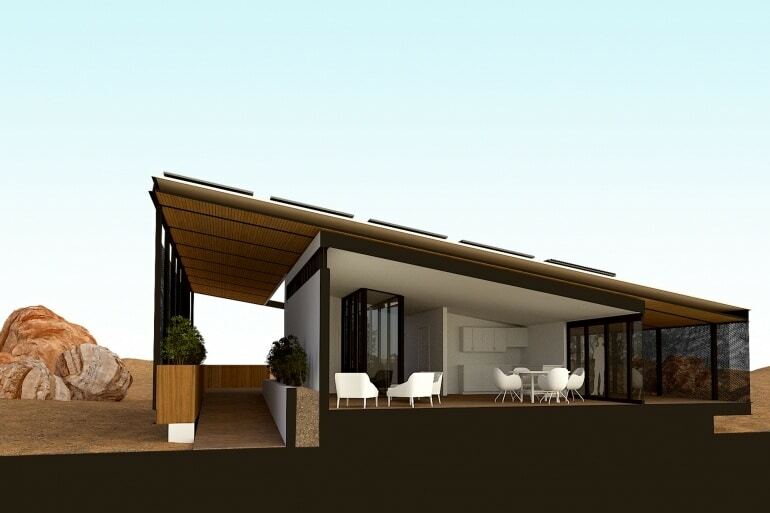 After a two-year break, Team Las Vegas is back in the Solar Decathlon, reports UNLV. UNLV is one of just 16 university teams worldwide picked to compete in the 2017 U.S. Department of Energy contest that challenges students to design, build and operate homes that are energy-efficient, affordable and innovative. UNLV will work to build on its strong 2013 Solar Decathlon showing, where it finished first among American universities and second overall. Team Las Vegas team will now officially begin its year-plus journey to design, construct and test its home before transporting and reassembling it at the 2017 competition site, which will be announced soon. UNLV’s 964 square-foot, renewably powered 2017 entry will be a home designed to help residents age-in-place. It will feature emerging technology in health and medicine to uniquely complement the competition’s signature sustainable architectural innovations. Smart-home and health-monitoring technologies will combine to help older adults and those with disabilities stave off institutionalized care and remain in their homes. The team will also include plans for community and family support. Students compete in 10 different areas – ranging from architecture and engineering to market appeal and communications – while gaining hands-on experience in clean energy design. The team that best blends affordability, consumer interest, and design excellence will prevail. Teams will also be competing for a total of $2 million in prize money for the first time in the contest’s history. Team Las Vegas is a multidisciplinary group of students, faculty and staff from architecture, engineering, health sciences, business, communications, and social work. The team will also recruit industry mentors and solicit sponsorships to offset costs associated with the competition. Read more in UNLV’s announcement here.